Are you thinking about buying furniture but don’t want to pay delivery fees? We don’t blame you! Most people don’t want to pay for full-service furniture delivery until they find out everything that comes with it. These days, we’re so conditioned to expect free shipping that we tend to second guess paying for it. We will fill an online shopping cart with over $100 worth of stuff, but we’ll abandon the cart when we find out shipping is an extra $5. 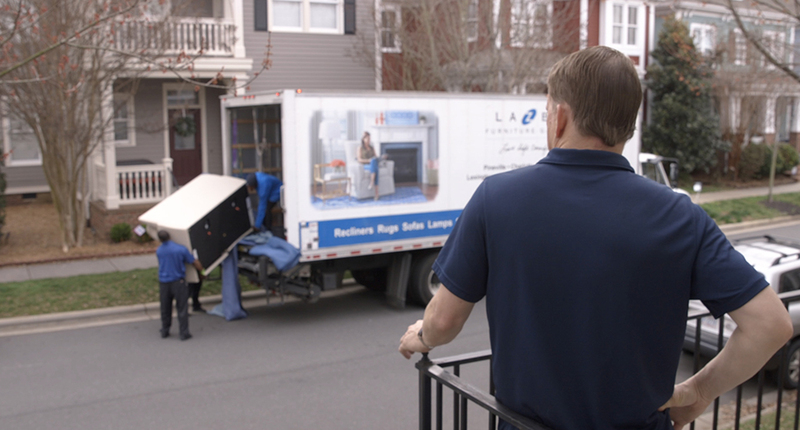 In this article and the video below, we take a look at what you can expect when you sign-up for full-service furniture delivery and how it compares to Wayfair free shipping. What Is Full-Service Furniture Delivery? Full-service furniture delivery means you’ll receive a call from your delivery driver before they arrive, your furniture is unloaded/unboxed/assembled by our crew, then placed in your room exactly where you want it. This is the top-of-the-line experience when it comes to furniture delivery options. 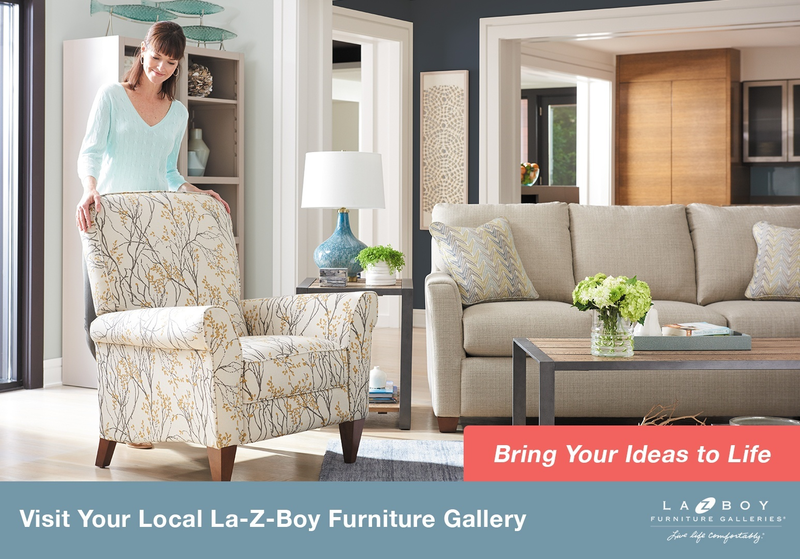 At La-Z-Boy Southeast, they offer full-service delivery with all of our furniture purchases. Our job isn’t done until you’re satisfied with the look of your room. Your furniture will be unboxed, put together, and placed in your room by professionals. Nothing will be left outside in the rain. With free shipping, all of these factors are up in the air. What Can I Expect With Free Shipping? Wayfair advertises free shipping on orders over $49. This offer only applies to small items and it will take 3-8 business days for your order to arrive via FedEx/UPS. Large items such as sofas, love seats, and chairs are delivered by one of Wayfair’s delivery partners. This service is very similar to full-service furniture delivery and comes with an extra charge. One of the biggest differences between Wayfair and La-Z-Boy’s full-service delivery is they give you a four-hour time window instead of a phone call one hour ahead of your scheduled delivery. How Much Does Full-Service Furniture Delivery Cost? Full-service furniture delivery can range from $59 – $599 depending on your location and the size of your order. When you pay for full-service furniture delivery you can rest assured your furniture will arrive on-time and in excellent condition. Furniture delivery is a topic that comes up often in our showrooms. With full-service delivery, you’ll make sure your furniture arrives on-time, is fully assembled, and placed exactly where you want it inside your home. 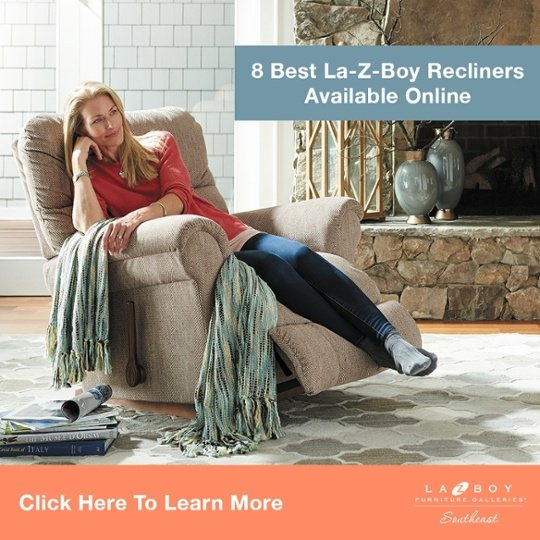 At La-Z-Boy Southeast, they’ll explain your delivery options and make sure you pick the option that’s best for you. 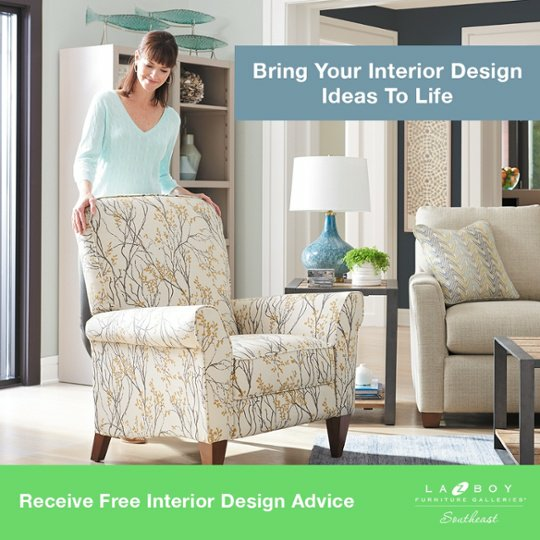 They’d be happy to guide you through the process of furnishing your home at any of their locations in GA, NC, or SC.